Halo 4 has been out for quite awhile now, and tasty nuggets of helpful hints are still being produced by Halo fans that can help gamers become better players at the game. Here we’ve got some helpful hints on using a sniper as part of a team, followed by a video by Wadliacha on the mechanics of the various sniper rifles in Halo 4. There are many aspects to being a successful sniper in Halo 4. Today we will cover four of them: Know your team, know your terrain, know your weapon, and know your game. It’s never too late to get to know your terrain. In fact, it’s a good idea to fire up a custom and jump into maps occasionally, checking out routes your team and the enemy might use to get to their objectives, and spots with cover that are good for your team to spread out and team fire the enemy as they use those routes. Pay particular attention to where a sniper might nestle in between their team, to provide cover fire and support. For some this may sound out of their league, but if you’ve never done it, give it a try! All you have to do is go into a map, maybe even try picking a map that is particularly challenging for you, and imagine gameplay happening. Visualize where you often see people running. Now find places with cover where you have a sightline on those places. Think of all the places you’ve been sniped from where it was difficult to roust the sniper from his perch. Of course if you are a competitive player, this is old news. But how often do you actually go in with your team and walk through map control setups? With a little motivation and discipline, this tiny step can make a noticeable difference in your game. There’s nothing more frustrating than playing a War Games or customs gametype you don’t enjoy. Many times the only thing standing in the way of a successful game and a bad experience is being truly familiar with the game. When you think of it, it’s amazing how many people will play hours and hours of Halo 4 and never really get to know how to best serve their team in each gametype. If you are a sniper in a slayer game, it’s not going to be as important where you place yourself as it is if you are sniping in a Capture the Flag game, or other objective where you can provide long-range support. It is important to pay very close attention to what it going on in the game, so you can choose priority targets. If your team is grabbing the enemy’s flag, and your flag grabber has two teammates helping, but someone has called out that an enemy is going into your base, you might want to focus on sniping the guy when he comes out of your base with the flag and let your teammates take care of helping your flag guy. One of the most important rules in any fps team game is never, never bring power weapons to the enemy. For this reason, it is always a good idea for the sniper to stay safe, and well away from the enemy’s side of the map. But, you can’t cover your team if you don’t know what routes they like to take. Never forget that callouts are a power weapon. Especially if you are gaming with people you don’t normally game with, it is important to use callouts. Next to identifying enemy positions, calling out what you intend to do is one of the most important callouts team members can make. Not only does this allow you to get to know your team and your teammates’ movements, allowing you to better cover them with the sniper, calling out what you intend to do allows your teammates to move into positions to support you. A team with good communication is like a well-oiled machine. A team without good communication is like… well… rusty, crusty, juttery and often stuck. You’ve held the various Halo 4 sniper rifles in your hands a hundred times. But have you noticed the tiny details a competitive player can see that makes it easier for him to snipe you in the face? Many people are intimidated by sniper rifles and would rather leave them at spawn than take a chance of looking the fool in front of their teammates. Wouldn’t it be nice to possess a better mastery of this weapon in Halo 4 War Games and customs? 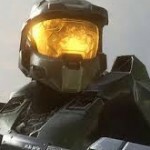 There are three sniper rifles in Halo 4: the human, Covenant and Promethean sniper rifles. Each one not only has a different feel when you shoot it, the actual mechanics differ from rifle to rifle, making it important to be aware of those differences when firing each one to use it more successfully. Wadliacha brings some insight into the Halo 4 sniper in this video. Check out his breakdown and watch demonstrations using the human, Covenant and Promethean sniper rifles – you just might learn something you didn’t know about sniping in Halo 4! There you have it, now don’t you feel wiser? Did we leave anything out about sniping and sniper rifles in Halo 4 War Games and customs? If we did be sure and let us know in the comments! 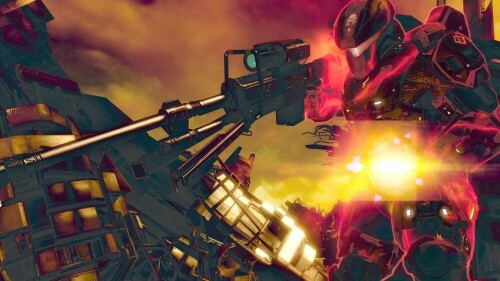 Now get out there and get to sniping in Halo 4! Awesome breakdown of how to be a better team sniper and player. the vid also has some great pointers, especially regarding snapshots and zooming. I’ll have to try the “whip”, “twitch” or “swipe sniping”. I remember trying it in halo 2 but never got the knack for it. The no scope on the beam is nasty!! I knew it was easy, but I didn’t know it was that easy! Exile CTF here I come!